Exciting News! And a Giveaway! Super exciting news here at M in the World! For the past few months you've noticed a distinct lack of posts. As I mentioned earlier, this is partly because of life in general, but also because I've been working on a super secret and super fun project. Ta da! Death at Timberly - by yours truly! As you know, I love reading cozy mysteries - they're light, they're fun, they give you a problem to solve, and they're perfect for a lazy evening, a blanket, and a cup of tea. This lifelong affair started with my first Agatha Christie and only grew from there. I love mysteries in any shape and form, from the darkest, most twisted ones to the lightest, non-bloody ones. 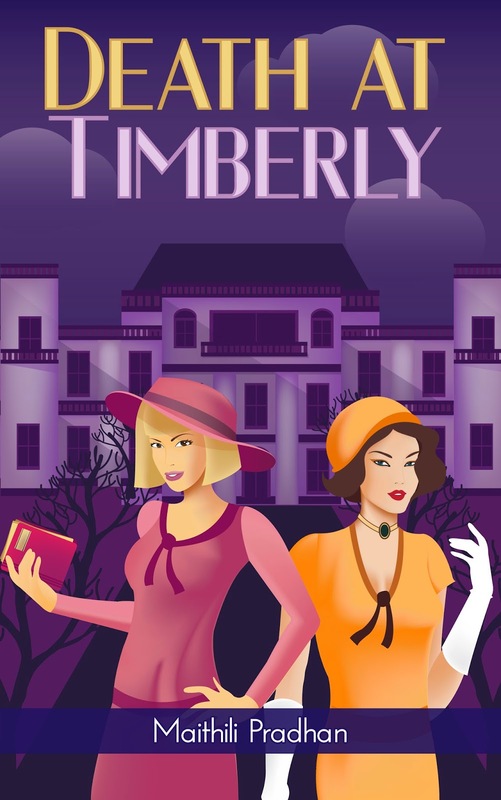 And so, here we have it: Death at Timberly - the first book in the Lucy Belling and Maude Grimsworth Series! :-) Thank you! And you're one of the folks who got selected to win the giveaway - watch out for the book in your email! Oh wow! Congratulations Maithili...:) Wish you lots of success. :-) Thank you! And you're one of the folks who got selected to win the giveaway - will get in touch for your email address and send to you! Thanks Vicki! I hope you like it!!! That's great Maithili! I can't wait to see it. Congratulations, Maithili! Can't wait to get my hands on this book.